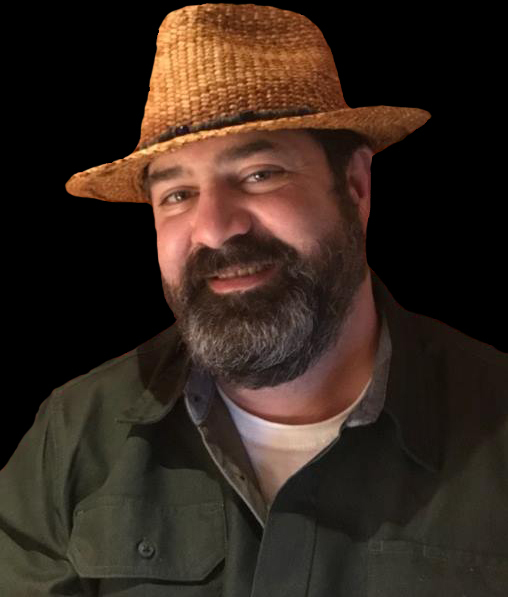 Biography & Credentials | BC Artifacts Ltd.
Tony Hardie/Owner/Presenter/Curator at BC Artifacts Ltd. I am Tony Hardie, descendant of the early pioneer Cattle Drovers and Miners of British Columbia and the Secwepemc (Shuswap) people, of the Central Interior of British Columbia. I am the founder and owner of BC Artifacts Ltd. Presently, I am presenting the Mobile Museum Tours in BC schools. I was an adviser in the book Overstreet’s Indian Arrowheads Price Guide for several years and am a good standing member in the BCHF, AACA, and the FVACC. 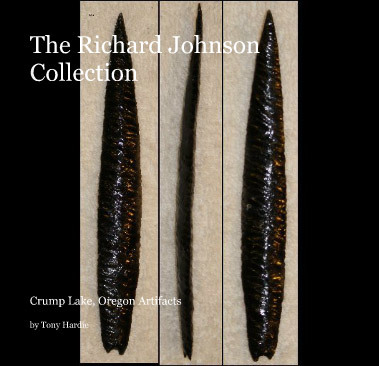 I take pride in providing amazing educational presentations and facilitating connections between collectors worldwide with the opportunity to purchase and study rare, unique and authentic artifacts and collectables from my areas of study here in the Northwest. I am presently booking and presenting the Mobile Museum Tours at BC schools for the 2015/16 school year. The BC Artifacts Mobile Artifact Museum Tours take place throughout the Lower Mainland in BC, Canada. 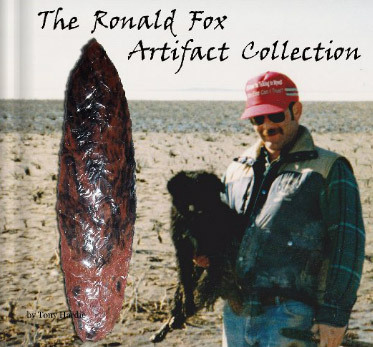 I am no longer purchasing any artifact collections for documentation and resale. My hobby since childhood and something I have always been very passionate about is learning about First nations and the History of Man worldwide. I am a collector of history, antiques and collectibles. I have collected artifacts, old bottles and various other Collectibles from BC and the Northwest for most of my life. 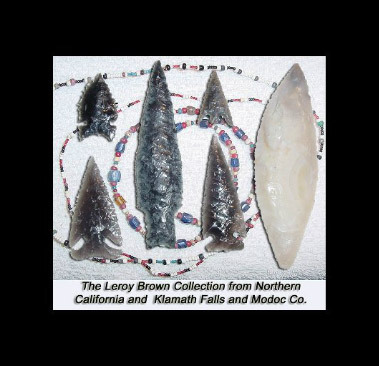 My biggest passion has been learning about history and the past thru collecting and reading about the tool technology and artifacts used by the First Nations of the Pacific Northwest. At one time I would even I would seek out and purchase legally obtained old timer collections from the 1950’s and early 1960’s of Indian artifacts and early Fur Trade Items. This was a non-renewable resource and I felt the need to document them, before they were gone. 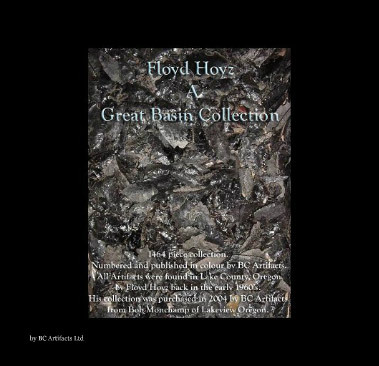 Some of these amazing collections I was able to document and preserve can be viewed in my many collection books published thru Blurb books. I have collected Artifacts, Old Bottles and various other Collectables from BC and the Northwest for my entire life. I have also obtained many thru inheritance, purchase and legal acquisition. I also have also collected quite an extensive collection of early pioneer Chinese Pottery and Gold Rush era artifacts and collectables. I also cherish my Fur Trade era relics and artifacts including the Trade Muskets from major Fur trade Suppliers including the Northwest Company, Hudson Bay and the American Fur Trade Co. I am pleased to I have helped many Schools and institutions with obtaining fine well documented authentic artifacts from the past to help with hands on learning.. I enjoy taking a collection of items on tour in the public and private institutions and schools. Please feel free to contact me for more details or booking info. I hope you enjoy the time you spend on my website and please feel free to call or email me your questions or comments. I will do my very best to get back to you in a timely manner. 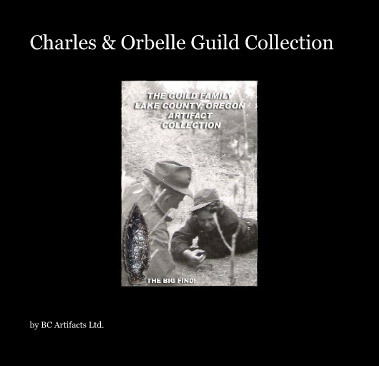 Northwestern Artifact Photo Books on many of the past collections we have documented thru Westcoast Arrowheads & BC Artifacts can be purchased thru Blurb Books. 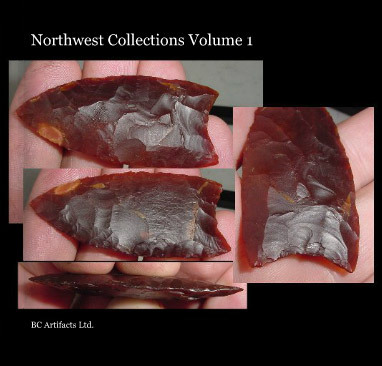 These are a good typology reference and resource to the type of material that has been collected in the specific region of the Northwest that they were found. 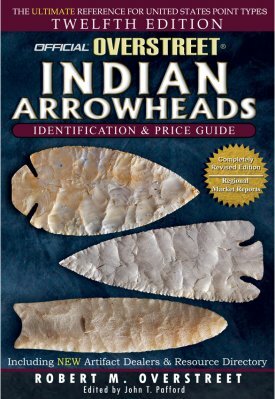 "I was an advisor in the 9th,10th, 11th and 12th editions of the book Overstreet’s Indian Arrowheads Price Guide."